Legend has it that in the peaceful and tranquility town of “No Name” lays buried unimaginable amount of wealth. Among the treasures, nothing is more valuable than the pair of Jade Sparrows. With all these buried treasures, it soon lures the wrong type of attention. Err... notice the difference in English title for this movie? Take note of the synopsis provided above as the movie will not place much emphasis on it anymore or even bother informing viewers about such treasure attraction. Instead it jumps straight to a Japanese merchant digging for treasures in the graveyard. 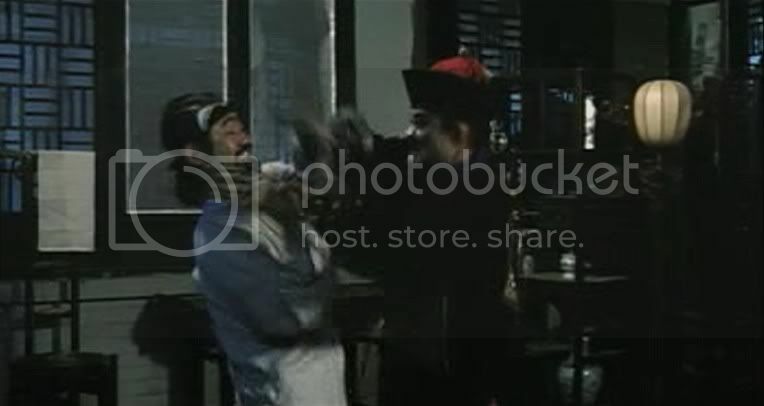 In the midst of the thieving, the town mayor happens to be passing by and was attacked by a vampire. A tribal girl who happens to be nearby, tried to rescue the mayor but instead both the mayor and the tribal girl lost their lives. 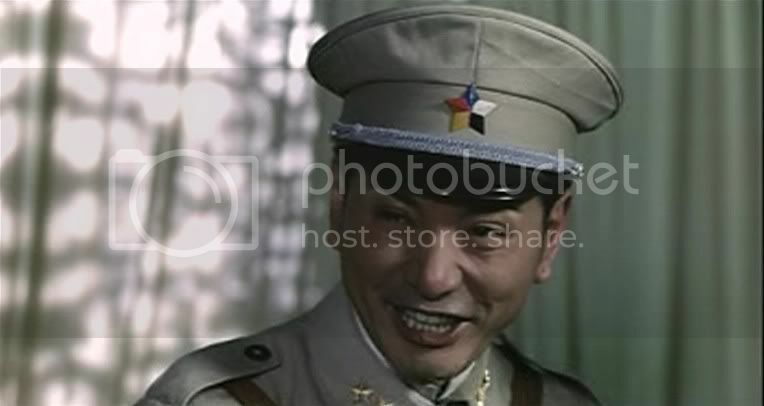 This help to push forward to the introduction of the main characters and the crux of the whole movie, the new mayor (Yuen Wah) and his companion who had arrived in town to investigate the death of the last mayor. Their plan to dissect the mayor’s corpse was hindered by the effeminate coffin home keeper (Chin Kar Lok) and even before any decision was made, the tribal girl’s sister arrived to investigate the questionable death of her sister. With such a ghostly title, haunting will soon emerges and police officers who involved with the tribal girl’s incident are dropping dead one by one while the new mayor and companion are haunted by vampire. Remember the synopsis? This film will muddle through those haunting mention above, a few weak attempts at creating romance between characters and bland subplots, making little to no mention of it until it’s near the end so that it could wrap it up for a “climatic” finale. Of course such weak structuring is screaming major plot holes that just fuel more dislike for this movie. I am not a bad rip off! 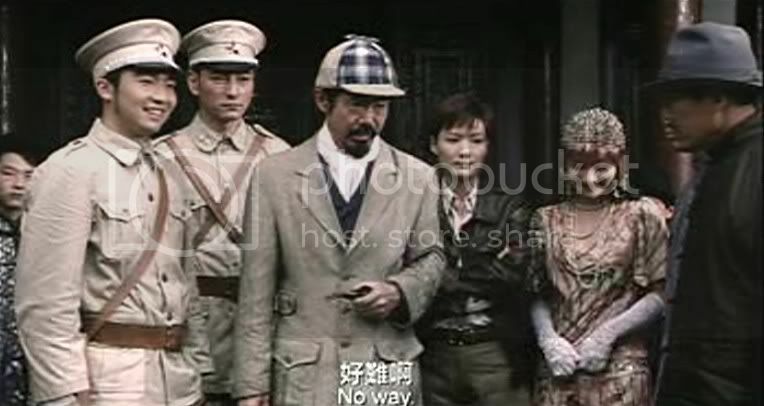 Borrowing the guise of the popular Vampire supernatural genre from Hong Kong, this China production tried unsuccessful to copy the comedic elements of the past even with the assistance of a few familiar faces (such as Yuen Wah and Chin Kok Long) from Hong Kong. The usual type of naivety that often found in China’s films is once again present here and it demonstrate that they still were unable to grasp the underlying reason for the popularity of the 80’s Hong Kong’s vampire films. Who said I am overreacting? It’s also not hard to tell the Hong Kong actors and China actors apart with their contrasting style of acting. Perhaps culturally, the different demographic had different preference in actor’s performance but the Chinese’s overreacting or stoic performance is just a bit hard to swallow compared to the more natural and fun performance of the Hong Kong counterparts which most Singaporean are probably more accustom to. You mean we got to be morally correct?? 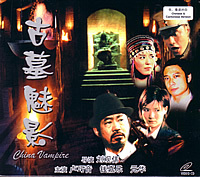 China Vampire actually took the fun of the good old supernatural adventures of the Hong Kong vampire movies by spouting morally correct messages at the end of this movie and even went on to dispel the mythos of the supernatural (and bloodless if one cares to take notice). By the end of this movie, it just makes this reviewer crave for some good old Hong Kong B grades vampire movies instead (which are incidentally available in Scorpioeast ‘s library). They were could be just as bad in story telling wise and characterization but at least they are pack with some sharp and genuine humor.